Shortly after the Charlie Hebdo Islamic terrorist murders in Paris in January, the establishment press attacked those who dared to state something quite obvious about “no-go zones” in parts of Europe, i.e., that they exist. The media summarily and unilaterally declared that “no-go zones” were a myth propagated by the likes of Fox News, Louisiana Governor Bobby Jindal, longtime terror expert Steven Emerson, and others — despite several direct references to them in media accounts, including the New York Times, going back as far as 2002. Certain residents of Molenbeek have been linked to terrorism plots going back “several years.” The Belgian government acknowledges that it “doesn’t have control” over it. 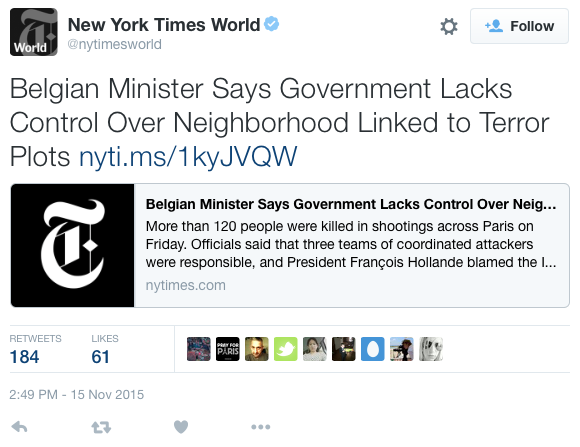 It would appear that the government hasn’t had control over Molenbeek for several years. 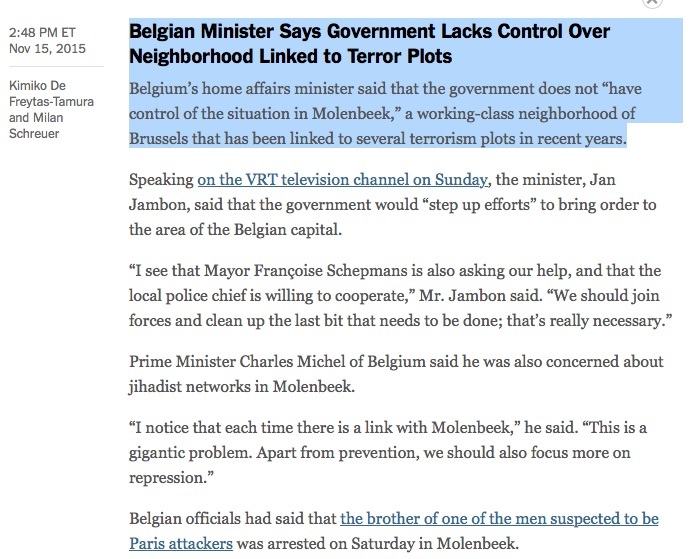 Gosh, Molenbeek sort of sounds like one of those “no-go zones” that we’ve been told don’t exist, doesn’t it? Most Belgians were stunned to hear that police had raided addresses in Brussels and arrested suspects, less than 24 hours after the Paris attacks. However, few were surprised to hear that the swoops took place in Molenbeek, a run-down east Brussels commune that has long been a magnet for jihadists, gangs, drugs and lawlessness. It was at Molenbeek’s Osseghem station that police arrived in force, with a phalanx of cars, backed by the bomb squad, sniffer dogs, and the national gas company. … Molenbeek has been connected to almost all of Belgium’s terrorism-related incidents in recent years. Moroccan national Ayoub el-Khazzani, who opened fire with a Kalashnikov on a high-speed Thalys train in August had lived in Molenbeek. French-Algerian Mehdi Nemmouche, who killed four people at the Jewish Museum in Brussels last year, spent time in the area. And the two suspected terrorists killed by Belgian police in a shootout in the eastern town of Verviers in January were from Molenbeek. As well as being home to many ethnic Moroccans and Turks, Molenbeek is also one of the country’s poorest areas. It has a 30 per cent unemployment rate, and one in four of its 95,000 inhabitants does not have a Belgian passport. Like gang violence, Islamic radicalism has fed on Molenbeek’s marginalisation, despair and festering resentment of authority. … Brice De Ruyver, who spent eight years as security adviser to then-Prime Minister Guy Verhofstadt, said Molenbeek suffers from a cocktail of problems. 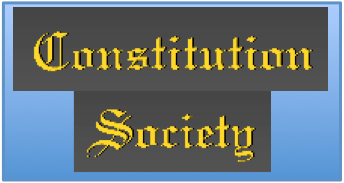 The U.S. establishment press’s insistence on denying inconvenient and politically incorrect reality, and on browbeating, intimidating, and attempting to marginalize anyone who dares to observe the obvious, grows ever more dangerous.